In the fictional town of Grace Arbor the answers are never clear.Who is underneath the mask? It’s the story of a group of high school kids who amuse themselves by pulling pranks on unsuspecting students and teachers. They are all popular, good looking, the kids voted most likely to succeed. But at their core lies a cruelty and shallowness which comes with the territory of privilege. One night, a prank goes horribly wrong and a teenager is killed. The gang covers it up as a drowning accident but five years later, their lives are turned upside down when Jimmy Edwards, is killed by a serial killer wearing a haunting Marilyn Monroe mask. You know the saying “What goes around, comes around” ? That really applies to seven friends who graduated together and share a terrible secret with eachother. Until the group of friends slowly starts to shrink, because they are murdered one by one. Now, when hearing the stories of these annoying bullies, you’re inclined to think they had it coming. Because the tricks they played upon their fellow students (and even teachers), wasn’t something to be taken lightly. Those jokes were so radical, a fellow student got killed. And now there appears to be someone who wants to take revenge on this gang of clowns. And the way they are killed, is linked to a particular joke they’ve pulled. 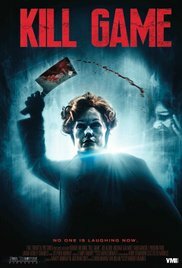 “Kill Game” isn’t an unbelievable good horror. But it tries to honour the traditions of the better hacker / slasher films from the 70s (for instance “Halloween” and “Friday the 13th“). So this means that a group of stupid and arrogant teenagers is gathered again to serve as cattle for slaughter. And the mysterious serial killer wears a grim mask, of course. In this case, it’s a Marilyn Monroe mask. Also a list of all candidate murderers is needed. This list may turn out to be exceptionally long. After counting all fellow students and teachers who were victims of a malicious prank, you’ll get a significant number of candidates. And as a highlight, the twin brother of the poor devil who didn’t survive a joke appears. But beyond these few similarities with older slasher films, this is a film that effortlessly will sink into oblivion. 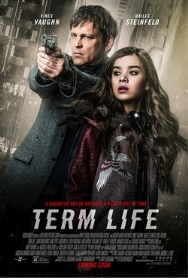 Anyhow, the lousy acting (inherent to this kind of films) and the not so original storyline are also present. What remains is a typical game of guessing who’s the perpetrator, what’s the motive and who’ll eventually survive. And there’s also someone whose profile complies with the characteristics of the perpetrator. Obviously that’s a wrong assumption. How surprising! Indeed, a stack of known clichés. The only thing that remains is how the victims were killed. So, it isn’t exactly breathtaking cinema. The only thing I’ve learned out of this movie, is that it isn’t very smart to bully others.